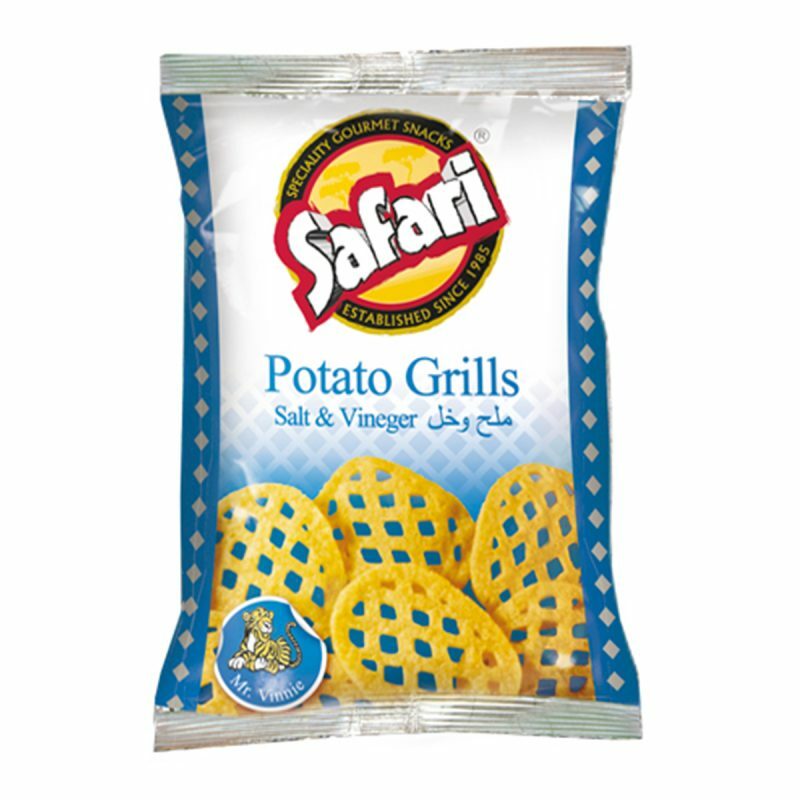 Mr. Vinnie the Tiger knows that our classic crunchy Safari Potato Grills Salt & Vinegar will leave you roaring for more, and with all natural ingredients. There is no reason to hold back! 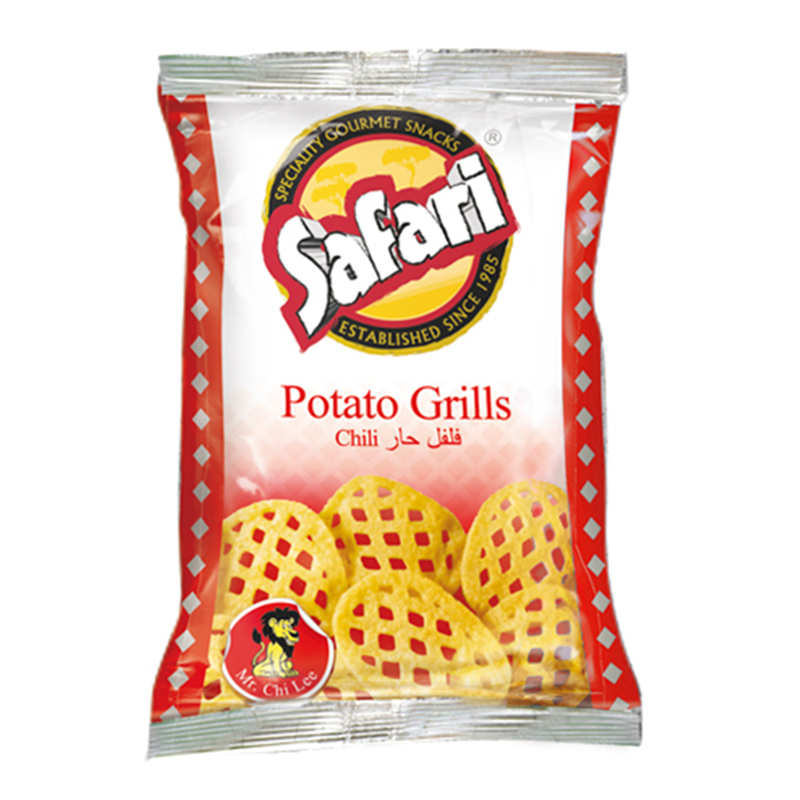 Safari Safari Potato Grills – Salt & Vinegar (20gm) 20gm Packet. Potato Snacks, Gluten free, MSG Free, Non GMO, No Preservatives, No Artificial Flavours, No Artificial Colours, Vegan, No Transfat, No Cholesterol, Halal. Potato powder, rice flour, modified starch (potato), starch (potato), sugar, salt, hydrolyzed soya protein, emulsifier (soya lecithin’s), spice (turmeric), palm olein oil, salt and vinegar flavour [acidity regulators (E262(ii), E262), sea salt, maltodextrin (potato), flavour enhancer (E621), maize starch, citric acid (E330), rapeseed oil, anti-caking agents (E341, E551), natural flavouring (rosemary)].